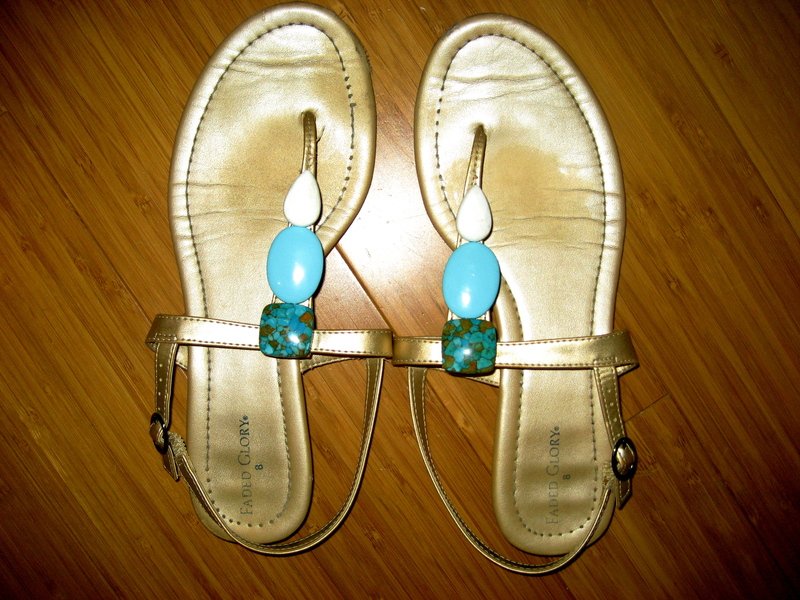 Loftiss says “Make It Work Monday”: Old sandals into new! Hey hey hey it’s Monday ya’ll! I flew back late last night from Nebraska for the Old Navy tour. I can’t WAIT to share with you the videos of these events. It has been such a blast and darling Joey Lawrence is my new besite 🙂 I have 2 more locations and next week is Calhoun- hope to see some of my GA folks come up! 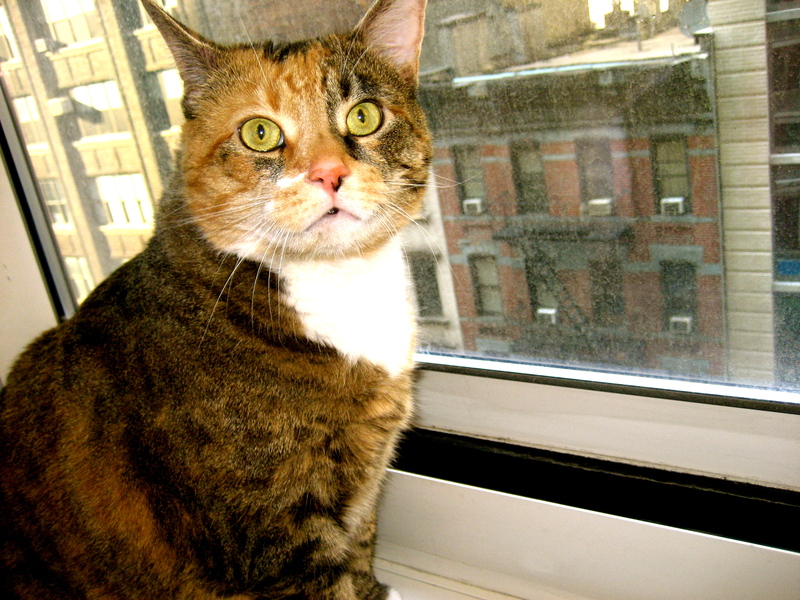 Let’s get on to this week’s blog. Funny story- 2 years I was in Ashley’s wedding (bestie from NYC- former roomie-fellow dancer/Rockette). While I was locking my door to head to the airport, I twisted my foot weirdly on the hall carpet and broke my sandals. OH NO! We are supposed to wear gold sandals with our floor length bridesmaid dresses and I have no time to go to the store!!!! That same night Jay, Stac, Jesse and I went to Wal-Mart to pick me up some new ones. They were a WAY too small but I was desperate. The next day I swam in the pool for a hour to stretch them out to a proper size 9.5 🙂 Since, I have my go to Tory Burch sandals these babies have been collecting dust. Instead of throwing them away I thought I should re-vamp them. Volia- “MAKE IT WORK” MONDAYS!!!! 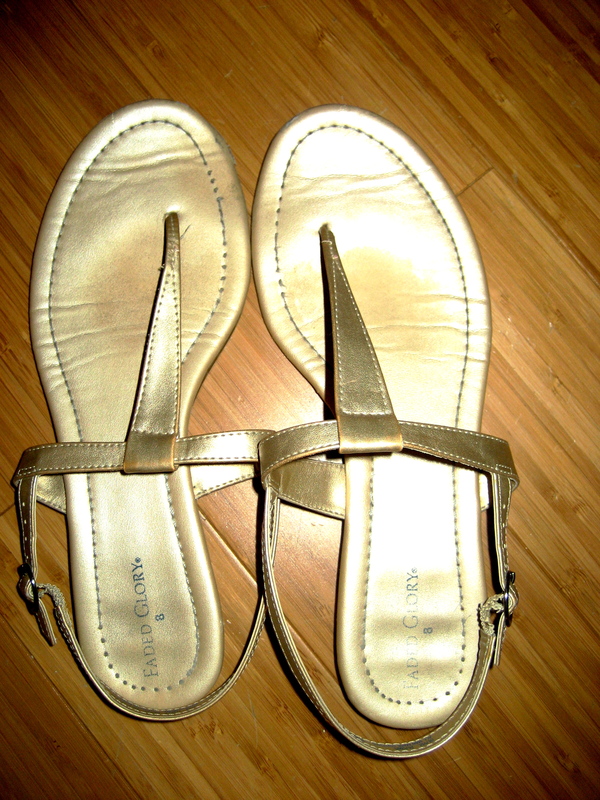 My $12 Faded Glory Sandals. 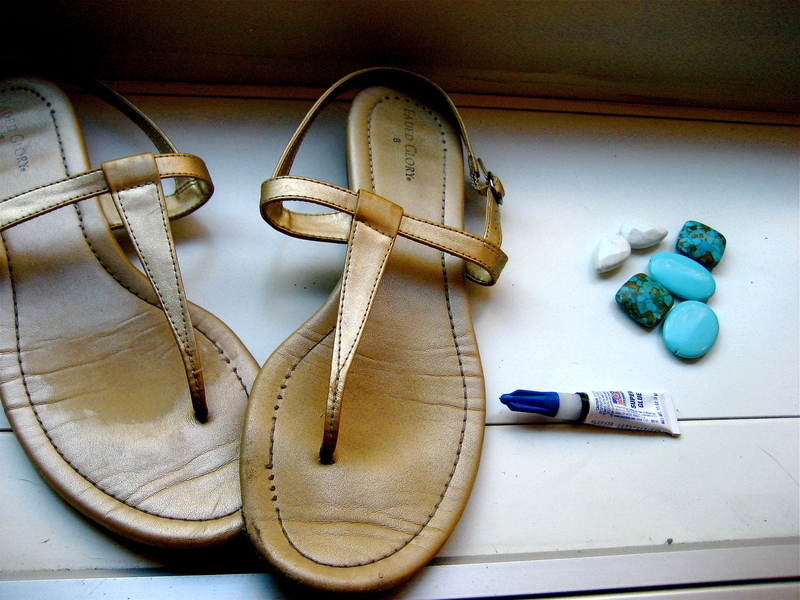 The supplies- shoes, super glue, stones form the craft store. First you figure out what formation you want to place them., and what will make the most sense for them to stay secure. 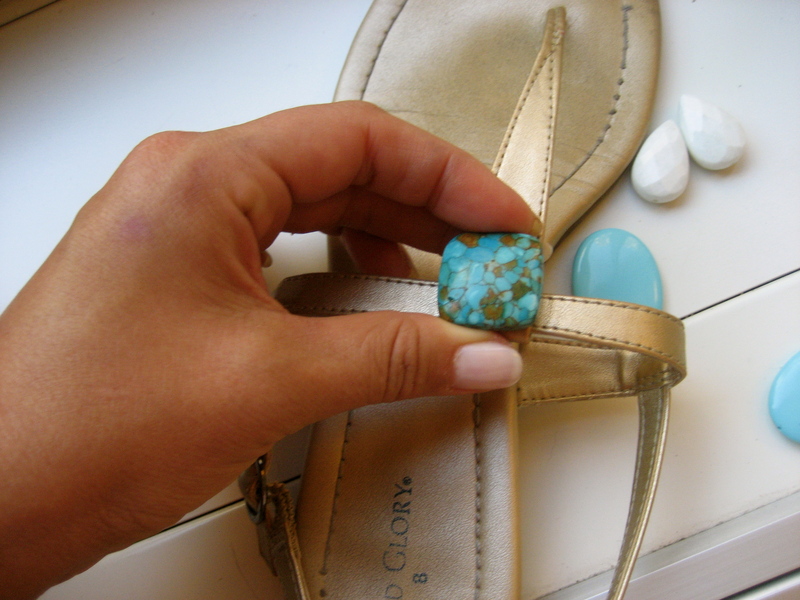 *HINT- Wear your shoes to the craft store so you can make sure you LOVE what you choose. I let them dry overnight to make sure they are perfect. TA DA!!!!!! This entire process literally took me 8 mins.I simply adore how they turned out. They are the perfect pop of color to brighten up any outfit. 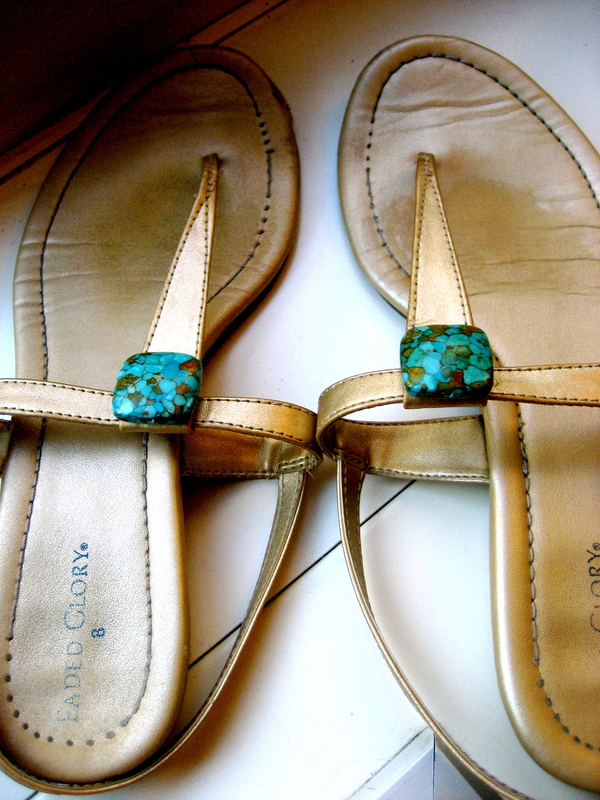 $34 for a new pair of sandals…whoooo hoooo!!!!! Please send me photos when you try this! I still can’t believe how easy this was. This would work perfectly for flip flops or any other type of shoe. Happy Crafting! Tags: bridesmaid, craft, DIY, DIY expert, Make it work, sandals, summer, summer trends, trends, wedding, Work it Work Monday. Bookmark the permalink. Previous post ← Loftiss says “Make It Work” Fall Preview Party at Ally B in Thomasville! Thank you! I’m really happy with how they turned out! You should try it! Genius!! Love this idea and can’t wait to pull out an old pair (that’s also been collecting dust in my closet) and give new life to them. Thanks for the tip! Yes! Please do and make sure you send me pixs! Thanks for reading AND reposting!!! !